Rewinding back to Mr. Curt Klueg’s high school years, Mr. Klueg can remember not being very religious. He would often dodge opportunities he got to build a closer relationship with God. It was not until Mr. Klueg went to college that he was surrounded by a Catholic community and took a moral issues class that he started valuing and spending time with God. Inspired by his past high school experience and his turning point at college, Mr. Klueg has brought “Take 10 at 10” to Mercy High School. This is a new form of daily prayer beginning at 10 a.m. if the student’s third hour permits. 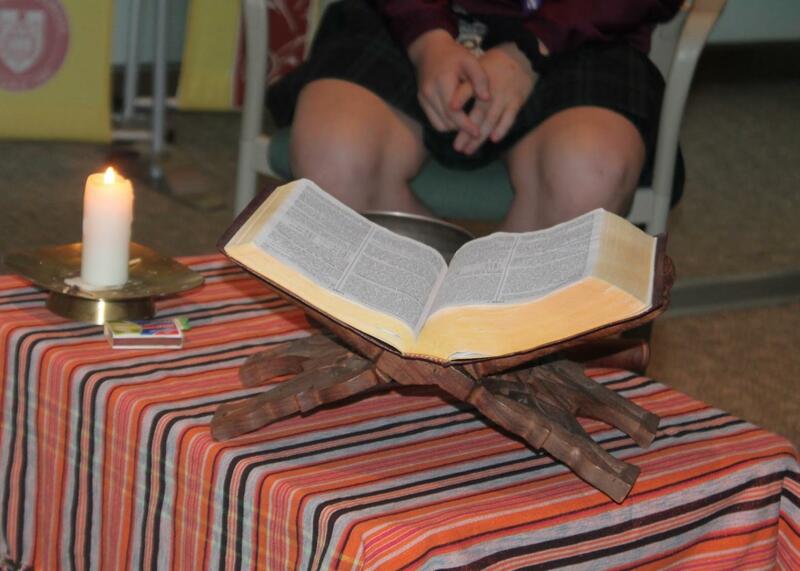 The prayer session is just 10 minutes, considering the full schedule Mercy students have. Many students have been taking advantage of “Take 10 at 10” during their third hour if they are unscheduled. Within the last few months, according to Mr. Klueg’s data, the average amount of participants per session is about 8. At Take 10 at 10, chairs are positioned in a circle surrounding the Bible and candles. Passages from the Bible are read aloud while students listen. According to Mr. Klueg, Day 5 and Day 2 are some of the most popular days students attend Take 10. This form of prayer gives students a quick opportunity to relax and find God, which is exactly its intention.